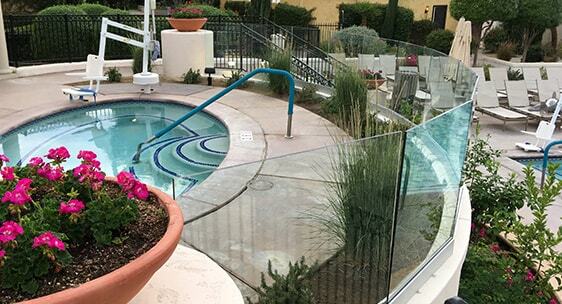 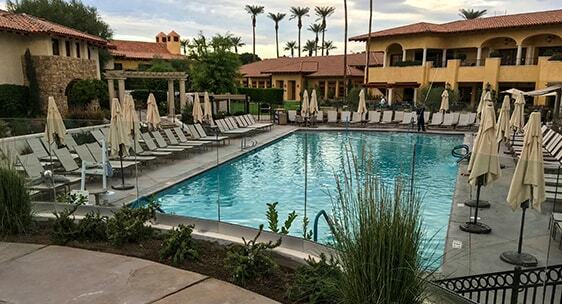 Miramonte Indian Wells Resort & Spa included our glass railing as part of their amenity deck renovation. 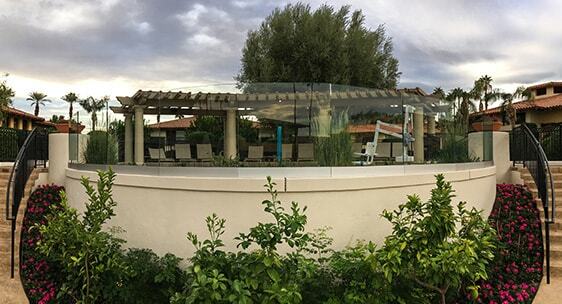 Our fully frameless railing provides protection for the raised spa deck and clear views of the large resort pool. 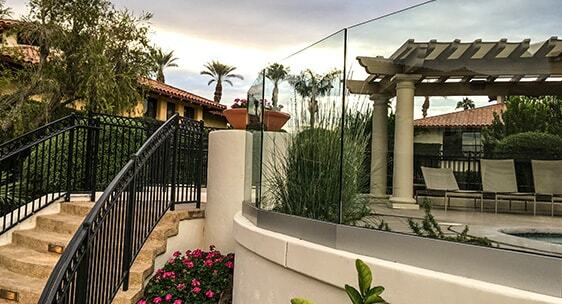 Custom-sized glass panels and a segmented base shoe allow the railing to easily follow the curve of the deck edge.